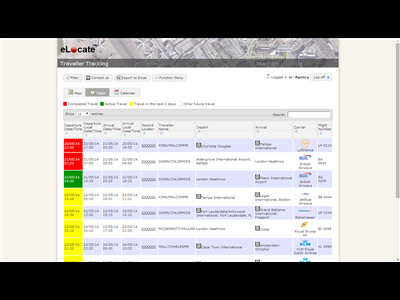 Secure web based traveller tracking tool providing instant access of travel data. 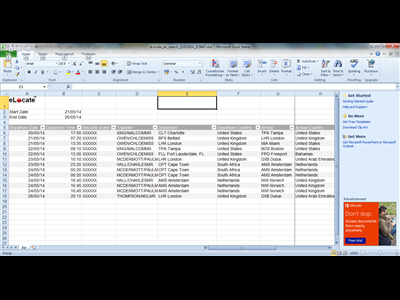 User friendly interface allows easy filtering and data reporting. 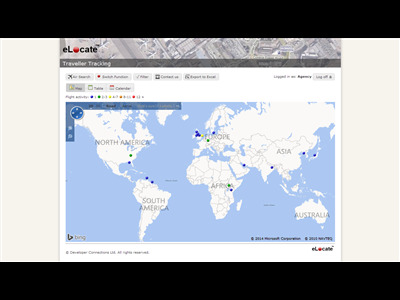 eLocate shows where travellers are and who is booked to travel where in the future. 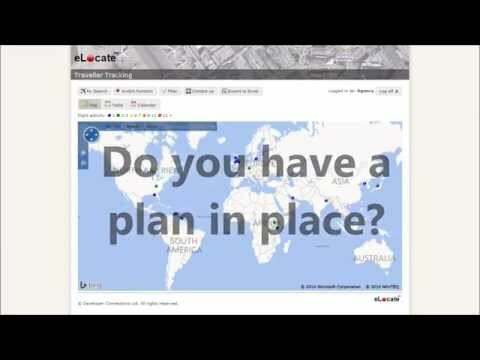 Highly useful tool for Corporates to manage travel bookings and corporate responsibility. Fully automated & always up to date as it instantly reads every booking after creation and following any amendment. Filter down on specific travellers, dates, destinations, airports & airlines.